Last month, NHS England announced its multi-billion pound, five-year GP funding deal, which chief executive Simon Stevens called "unarguably the biggest boost to primary care in more than 15 years". In the "first major pillaring" of the long-awaited NHS long-term plan – itself published a few weeks before the new GP contract – the commissioning body announced it will make more than 20,000 roles available across five groups working in primary care – including "clinical" pharmacists. This will be paid for by an increase in core general practice funding of £4.5 billion for the next five years. But what will these changes – and the additional funding they will bring – mean for the community pharmacy sector? Why has funding increased for GPs? What is in the GP contract? Where do "clinical" pharmacists fit in? What will "clinical" pharmacists do in a primary care network? What will the contract mean for current schemes? Is there any money for other pharmacy staff? What does the contract say about community pharmacy? The new GP contract is based on the notion that general practice is the "bedrock of the NHS, and the NHS relies on it to survive". However, NHS England acknowledges that workforce shortfalls are "by far the biggest challenge facing general practice", and admits the sector "doesn’t have enough people to do the work required". It says these shortages are due to issues including: population growth; GPs struggling to cope with rising workload; and an NHS-wide shortfall of nurses. The GP contract has been published to help address these GP workforce shortfalls. NHS England and the British Medical Association’s (BMA) General Practitioners Committee (GPC) share an "ambition for core general practice to expand further, and…become the default footprint of community-based care", the commissioner says. Months before the contract was published, NHS England announced that the GP incentive programme, the Quality and Outcomes Framework, would be updated as part of it, following "the most significant review of [the framework] since it began in 2004". Changes to the framework – which will commence in April – will include improving diabetes outcomes, aligning blood pressure control targets with the National Institute for health and Care Excellence (Nice) guidance, supporting pulmonary rehabilitation for patients with chronic obstructive pulmonary disease, and improving focus on weight management as part of physical healthcare for patients with psychoses. Other key priority areas for the framework include heart failure and asthma – for the 2019-20 financial year – and mental health for 2020-21. Another of the main changes in the new GP contract is the focus on building and expanding primary care networks – groups of local GP practices and community teams – under a "network contract". By 2023-24, the network contract is expected to "create national entitlements" worth £1.79 billion – or £1.47 million for a typical primary care network covering 50,000 patients. The 20,000 roles – which include pharmacists – which will be made available within primary care networks will be funded through a new "additional roles reimbursement scheme". For the 2019-20 financial year, each primary care network will be allotted a maximum reimbursement sum covering the five priority staff roles set out by NHS England: "clinical" pharmacists, physician associates, physiotherapists, community paramedics, and "link workers" that support social prescribing. However, flexibility will be given to each network to decide how many of each of the staff they wish to employ. For example, a network may choose to employ more physician associates, but fewer "clinical" pharmacists. 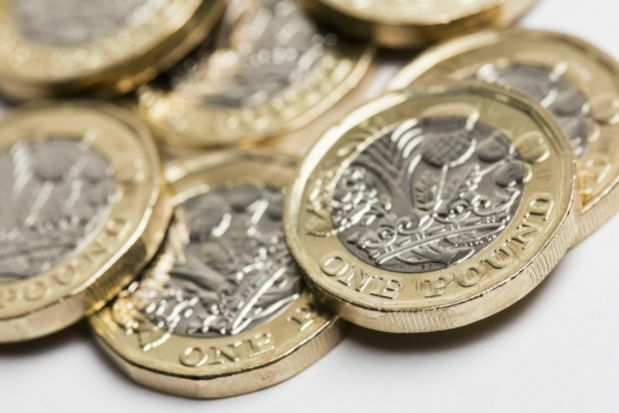 GP practices will be reimbursed 70% of the recurrent salary costs for additional "clinical" pharmacists – capped at £37,810 a year for each pharmacist. "These percentages will neither taper nor increase during the next five years," which will give primary care networks "maximum confidence" to recruit to the full, NHS England says. By 2024, NHS England says it wants "clinical" pharmacists – and the staff employed in the other four priority roles – to be an "integral part of the core general practice model", not merely "wrap around" support. By the end of the contract, the GPC’s aim is for every practice to benefit from having a GP pharmacist. For example, a typical primary care network of 50,000 patients could choose to have its own team of approximately six whole-time equivalent "clinical" pharmacists by 2024, although the network "could decide on a higher, or lower, number". However, the number of funded roles depends on the population covered (see below). "Clinical" pharmacists funded by the contract will need to be either independent prescribers, or training to become one, and contribute to the Quality and Outcomes Framework agenda. Pharmacists within primary care networks will also take a prominent role in one of the seven national service specifications – specifically the structured medication reviews. Under this service, they will help tackle over-medication, enforce the government’s antimicrobial resistance strategy, and support patients to get the best from their medicines, with the aim of reducing waste and promoting self care. NHS England says it wants "clinical" pharmacists to undertake a leadership role to help integrate general practice with other healthcare teams in the area. This includes integrating with community pharmacy and hospital pharmacy. Another of the "clinical" pharmacists’ core responsibilities will be within the enhanced health in care homes scheme, in which pharmacists will carry out regular medicines reviews for these patients. The scheme will begin by April 2020, along with the structured medication reviews and optimisation service. The GP funding model will affect two current NHS England schemes: the clinical pharmacists in general practice scheme, and the pharmacists in care homes scheme. In 2016, the GP Forward View included a promise to invest £31m to pilot 470 "clinical" pharmacists across more than 700 GP practices. NHS England later pledged to invest an additional £112m, with the aim that there should be 1,500 extra pharmacists working in general practice by 2021, to help relieve GP workload. 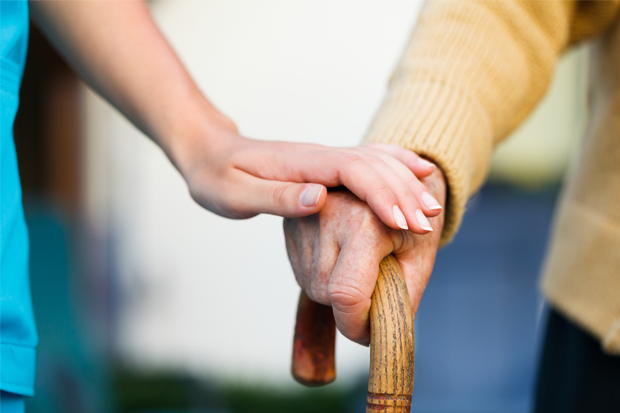 Meanwhile, in November 2018, Prime Minister Theresa May announced the rollout of a national scheme to assign teams, including pharmacists, to care homes to provide "personalised care" to residents. Under the new contract, both schemes will be "subsumed into the more generous arrangement". More detailed guidance on how this will take place will be provided in the GP funding details for 2020-21, NHS England says. The GP contract will involve funding some pharmacy technicians – currently funded by CCGs – as a "complement" to the pharmacists in care homes scheme. NHS England also says it will "explore the practicality" of funding pharmacy technicians, working alongside "clinical" pharmacist in general practice. Listen to C+D's podcast below to find out what a pharmacy technician does in general practice. You can subscribe to all of C+D's podcasts on iTunes or by searching 'Chemist+Druggist podcast' on your preferred android podcast app. Introductory arrangements are expected to come into force from April, "prior to the [full recruitment drive] taking effect". NHS England says the "scope" of the recruitment will gradually extend, with the first funding and supply of "clinical" pharmacists and "link workers" that support social prescribing available in July 2019. Between July 1, 2019, and March 31, 2020, every primary care network covering a population of at least 30,000 will be able to claim 70% of funding for one whole-time equivalent "clinical" pharmacist. If the network size is 100,000 or more, then this increases to two whole-time equivalent pharmacists, and if it is in a "super practice" – covering upwards of 200,000 patients – then four whole-time equivalent "clinical" pharmacists could be employed. The 108-page GP funding contract only mentions community pharmacy a handful of times. As part of a new national audit, community pharmacy will be involved in spotting and treating patients with "under-treated, high-risk" conditions, such as high blood pressure, high cholesterol and atrial fibrillation. NHS England says it will also aim to improve collaboration between general practice, primary care networks and community pharmacy, to share learning and improve systems to increase safety and reduce patient harm. The nationwide rollout of a NHS 111 scheme – similar to the digital minor illness referral service – is also mentioned in the GP contract. NHS England says it will roll out the service as "rapidly as possible" as part of negotiations with the Pharmaceutical Services Negotiating Committee for the sector's own contract. NHS England stresses that implementing the strategy it outlined in the contract should involve the whole practice team, and encouraged GP practices to engage with colleagues in the community – including community pharmacy. Further information on the GP contract is expected in March, which will include further guidance on the introductory scheme and funding arrangements "prior to the [full recruitment drive] taking effect". NHS England says it will carry out a review of how it will reimburse additional roles no later than 2023, in order to inform the future of the contract, and to determine whether further roles are required in general practice. What do you make of the new GP contract? "I stuffed their mouths with gold"
Thanks C&D - a very useful editorial piece. To all pharmacy students, newly qualified or pharmacists who, like me, need to pay the mortgage, TAKE NOTE. If you want to have a rewarding and lasting career find a way to be involved in the jobs highlighted. Maybe not full-time but part-time at least. PSNC need to find a way to get community pharmacies really integrated into these new networks. They won't give too hoots about how many prescriptions are dispensed as that is now seen as "bread and butter stuff". There is a great future out there for those individuals able to adapt. 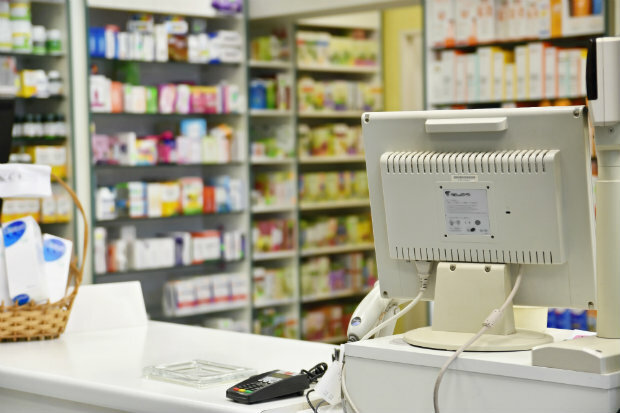 Not going to be easy and PSNC MUST focus on how pharmacies can be helped to transition - just like GPs are being helped to move to a digitally led service. Don't bank on the PSNC doiny anything remotely use full in the next decade, of even forever.